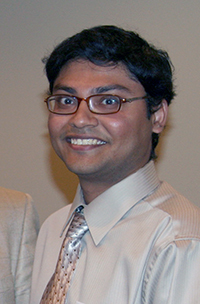 Alumnus Ashis Banerjee (ME Ph.D. 2009) has accepted a tenure track position at the University of Washington, with a joint appointment in Mechanical Engineering and Industrial Engineering. At Maryland, Banerjee was advised by Professor S.K. Gupta (ME/ISR). He received ISR's 2009 George Harhalakis Outstanding Systems Engineering Graduate Student Award and the Mechanical Engineering Department’s best dissertation award. After graduation, Banerjee completed a postdoctoral assignment and was a research scientist at MIT. Most recently he worked for GE Global Research.